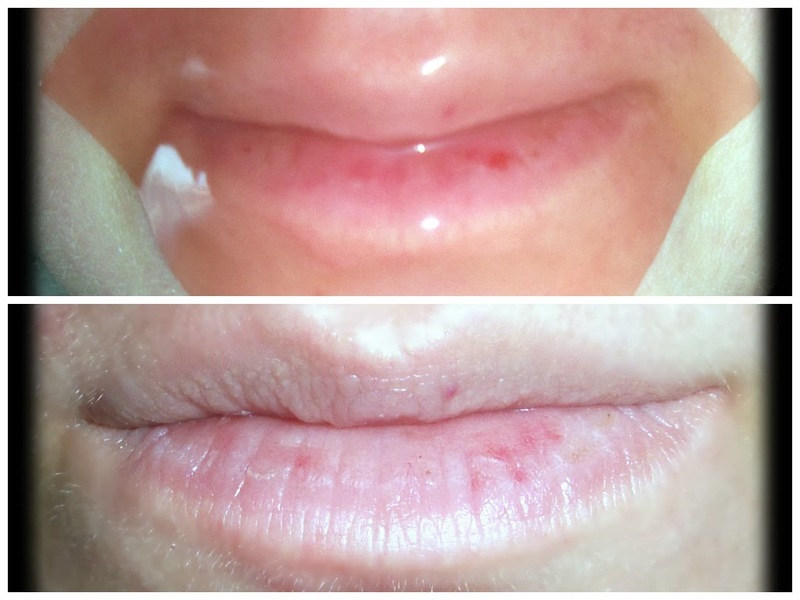 I have always had problematic lips during my entire life; my lips are always dry, cracked and rough. And unfortunately, I usually tear them off :( I drink a lot of water, so I'm not sure if this is related to dehydration. 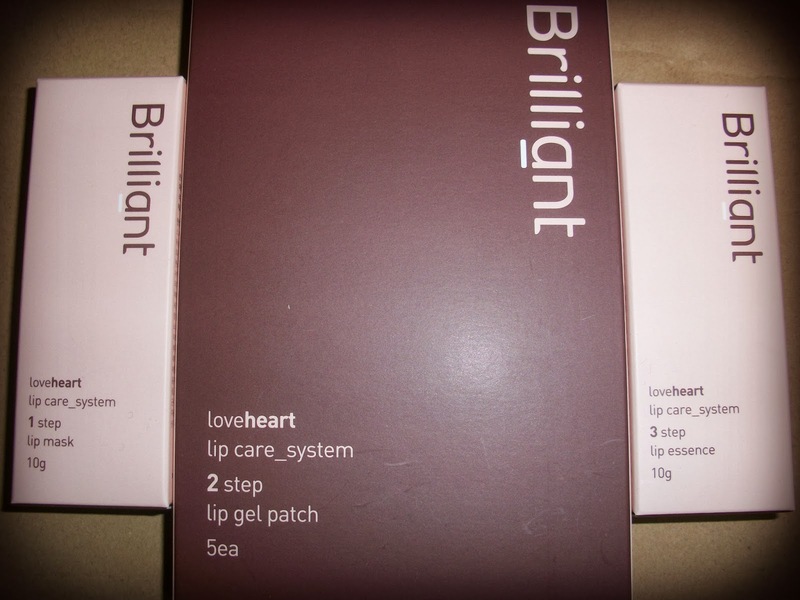 Therefore, I thought [BRILLIANT] Love Heart Lip Care 3 Step System Set ($29.00 USD) would be useful for my unhealthy lips, so I wanted to review it. 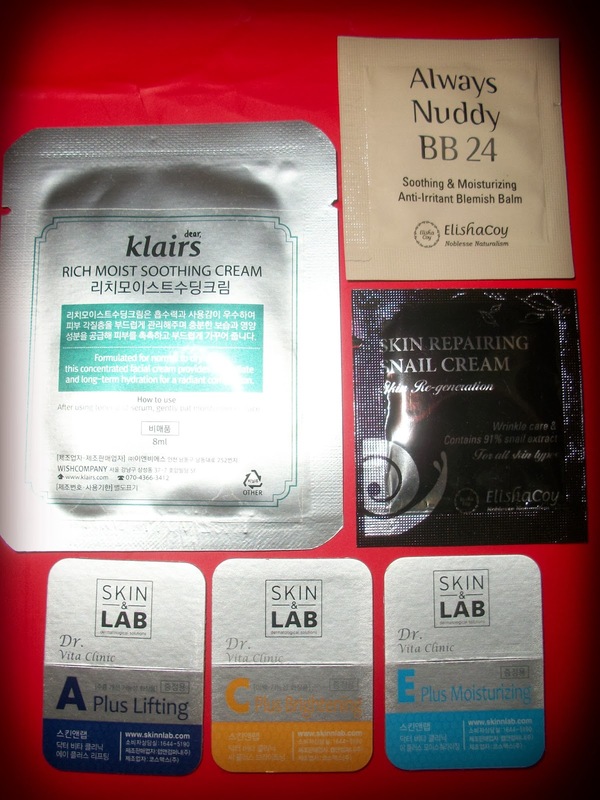 The package arrived in a nice box along with this bunch of samples. I love it! I haven't tried the samples yet, but I'm curious :) The set in the first pictures consists of 3 products, the step of which you will see below. The first step is the dead cell remover (lip mask). After washing/cleaning your face, you put it on your lips rubbing 1-2 minutes, and then wipe off with wet tissue. It's a white clay-like substance which dries quickly. But it doesn't hurt and can be removed easily. 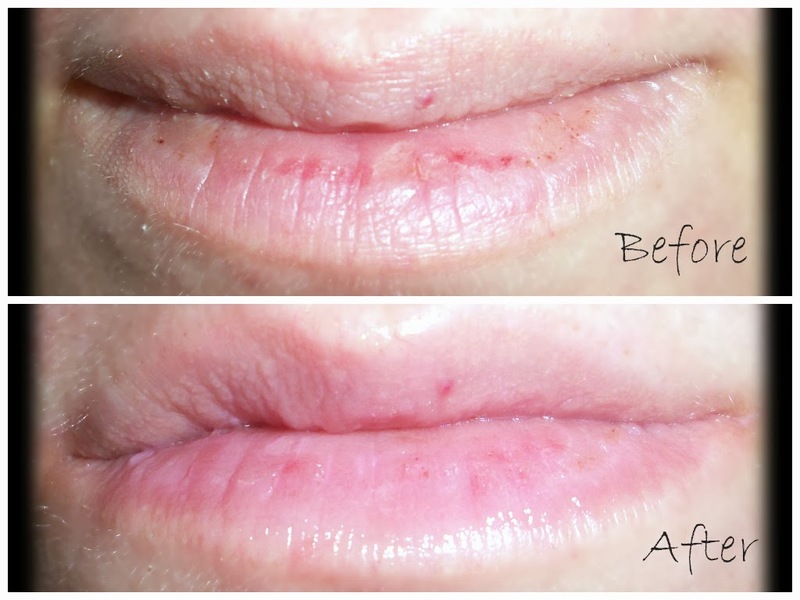 So, do you want to know more about how to exfoliate lips? The second step is the lip gel patch, which makes you look like you have huge lips :) My brother laughed at me when he saw me like this :) In this step, you take the gel patch out and take off the film and put it on your lips for 15-20 minutes. There are 5 patches inside the box. 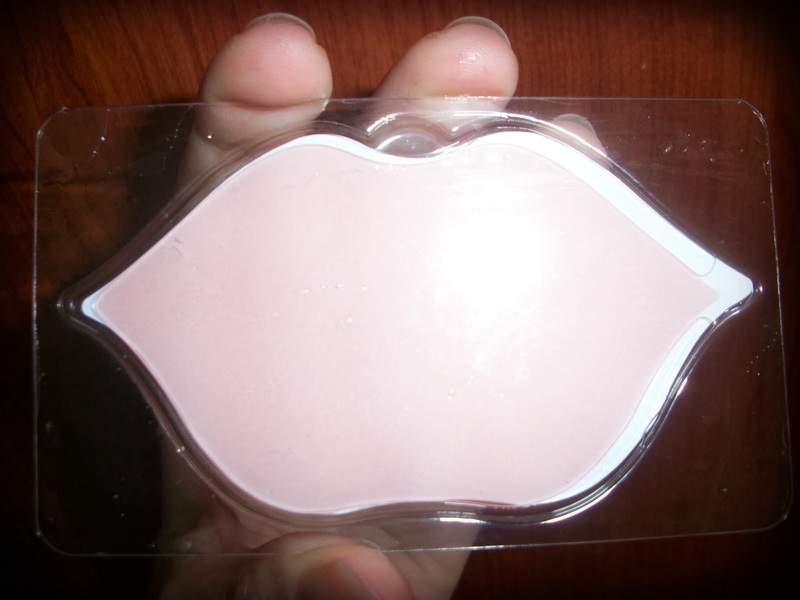 The patch adheres to your lips very well and doesn't fall off. And it's very soft. If you love talking, it would be difficult for you to keep silent for this period. I even hardly resisted to laughing after my mother's and brother's reactions. But time passes quickly, and after that, you are left with moisturized and soft lips. 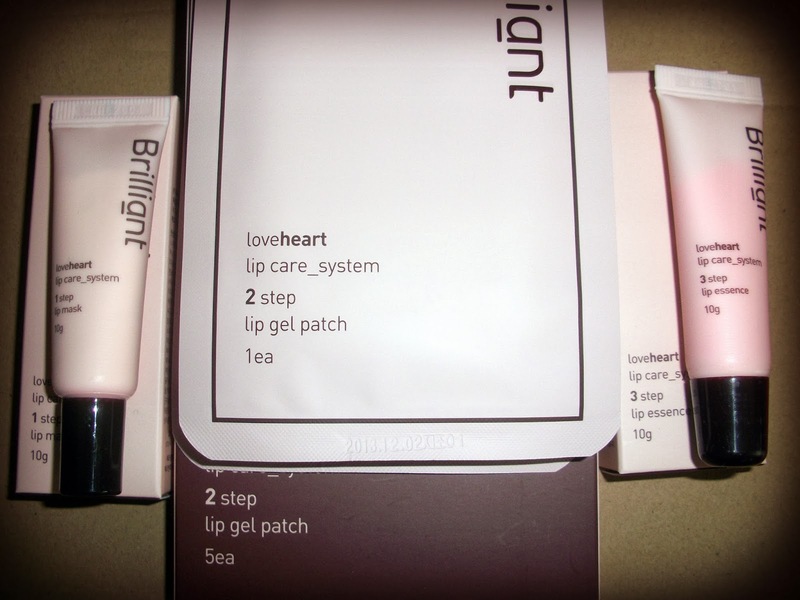 The third step is the lip tint & essence. It is essential to use this product to keep your lips moisturized. You apply adequate amount of product on your lips as putting lip balm. 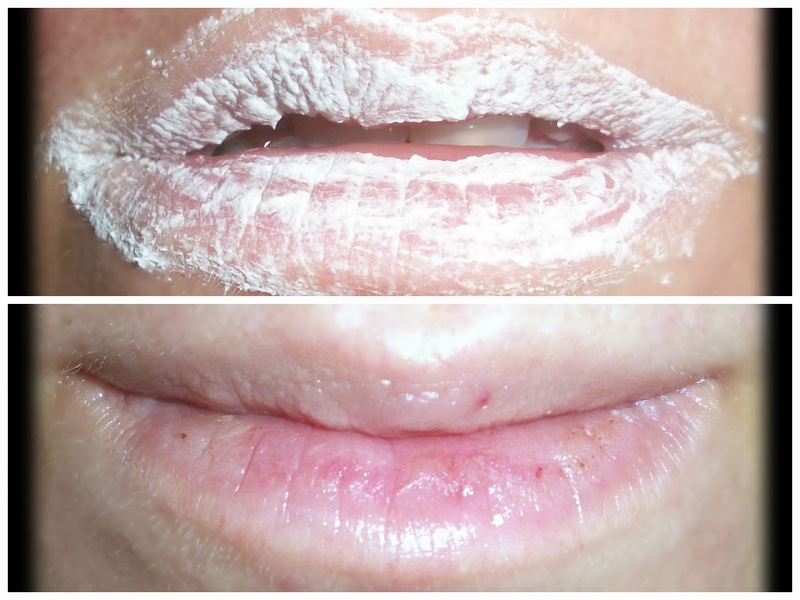 A few minutes later, your lips turn into a natural pink color. The exact shiny and moisturized effect lasts for a few hours, but in general, I feel my lips much softer. Of course, it will take some time to heal my lips completely. I'm planning to use the first and third steps together when I don't have time. And as there are only 5 patches, I will continue to do like this after all the patches are gone. Wishtrend is here to shop for more beauty. Wishtrend exists for one simple mission: Help you to be more beautiful. We are believing that as long as you 'WISH' to be beautiful, you will be beautiful. We explore all over the world to find the best cosmetics and introduce them to the beauty inspiring explorers. Of course, those amazing stuff which we discover will be delivered to your front door. PS: You can check Wishtrend Global FaceBook Fan Page and/or Wishtrend TV to see how to exfoliate lips.